JUDGMENT T.R. Ramachandran Nair, J. 1. The issue that arises for consideration is whether under Section 34(1)(j) of the Kerala Panchayat Raj Act, 1994, dues towards a co-operative bank, a Primary Co-operative Agricultural and Rural Development Bank can be treated as dues towards Government. The case has come up before us on a reference by a learned single Judge of this Court (P.R. Raman, J.) doubting the correctness of the decision of a learned single Judge of this Court in Ramachandran v. Ornanakuttan (2002) 3 KLT 603. 2. The revision petitioner was elected to the Bellur Grama Panchayat in the election held on 26-9-2005 from Ward No. II Challenging the election of the revision petitioner, the first respondent filed an election petition under Section 89 of the Kerala Panchayat Raj Act. The election was sought to be set aside on the ground that the elected candidate was disqualified under Section 34(1)(j) of the Kerala Panchayat Raj Act, 1994 to contest the election. It was alleged that she was a loanee of the Kasaragod Primary Co-operative Agricultural and Rural Development Bank and there were dues to be payable to that bank and hence the disqualification under Section 34(1)(j) is attracted. The apparent allegation was that the bank is advancing loans in terms of the agreement entered into with the Government and the Government is a guarantor also and therefore the amount due to the bank has to be considered as amount due to the Government. There were other grounds also. 3. The learned Munsiff as per judgment dated 7-11-2006 partly allowed the petition setting aside the election on the finding that she was disqualified to become a Member of the Panchayat under Section 34(1)(j) of the Act. In appeal by the revision petitioner, the judgment of the learned Munsiff was upheld by the District Judge, Kasaragod. In both judgments, reliance was placed on the dictum laid down in the decision reported in 2003 (3) KLT 603, wherein a learned single Judge of this Court has taken the view that amount due to a primary co-operative Agricultural and Rural Development Bank is arrears due to the Government. 4. The learned single Judge while referring the matter to the Division Bench, has also noticed the reliance placed by the petitioner herein on the decision of a Division Bench of this Court in Raturning Officer v. Chamiyar wherein the Bench held that a disqualification under Section 34(1)(j) is not attracted as the amount was due to a Service Co-operative bank and not to the Government or to the Panchayat. It was also noticed in the reference order that the decision of the learned single Judge in 2002 (3) KLT 603 had not been brought to the notice of the Division Bench in that case. 5. We heard Shri D. Krishnaprasad, learned Counsel for the revision petitioner and Shri Kodoth Sreedharan, learned Counsel for the respondent. Learned Counsel for the petitioner submitted that the alleged dues cannot be characterized as dues to the Government for the purpose of Section 34(1)(j) of the Kerala Panchayat Raj Act, as the amount of loan was taken only from the co-operative bank in question. It was submitted that being a provision concerning disqualification to contest the election, only an interpretation after taking the plain meaning of the provision can be adopted and as the Statute has only included within its purview arrears due to the Government or the Panchayat concerned and has not specifically included any other kind of dues. The meaning cannot be widened so as to rope in other dues like dues towards co-operative bank. Reliance was placed on the decisions of the Supreme Court in Thampanoor Ravi v. Charupara Ravi and Greater Bombay Co-op. Bank Ltd. v. United Yarn Tex (P) Ltd. in support of the above argument. It was therefore submitted that even if the Government is a guarantor. It cannot cloth the character of a dues to the Government. 6. Per contra, Shri Kodoth Sreedharan, learned Counsel for the respondent contended that the word "Government" in Section 34(1)(j) has been used in wider terms and going by certain other provisions of the Act also, it will be deemed that a co-operative bank in which the Government has interest, cannot have a separate identity and if such a wider meaning is adopted, then the revision petitioner was clearly disqualified to contest the election. Placing reliance upon Section 30 of the Act providing for disqualification of officers and employees of Government, local authorities, etc. where the Government is having not less than 51% share, it is contended that since employees of co-operative societies are also covered by the explanation to the said section, the same principle will apply as far as the interpretation of Section 34(1)(j) is concerned also. In support of the said contention, learned Counsel placed reliance upon the principles stated by the Supreme Court in Pashupati Nath Sukul v. Nem Chandra Jain and V.S. Mallimath v. Union of India adopting the view that officers of the State Legislature are Government servants and that service rendered by a Chief Justice of the High Court must be treated as service in connection with the affairs of the Union. Relying upon these decisions it is contended that the term "Government" should get a wide meaning. (j) is in arrears of any kind due by him to the Government or the Panchayat concerned (otherwise than in a fiduciary capacity) up to and inclusive of the previous year in respect of which a bill or notice has been duly served upon him and the time, if any, specified therein for payment has expired. 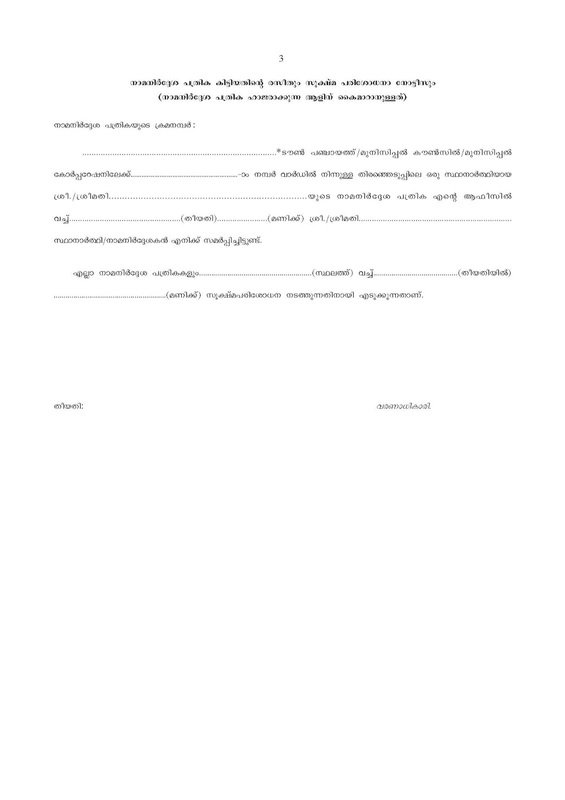 The Section has provided in clear terms that a person shall be disqualified for being chosen as and for being a member of a Panchayat at any level, if he is in arrears of any kind due from him to the Government or the Panchayat concerned (otherwise than in a fiduciary capacity)...." It is clear that the section does not indicate dues of any other kind like dues towards co-operative banks, co-operative societies, commercial banks or nationalised banks, Government companies, etc. Hence, as far as dues towards co-operative banks and societies are concerned, they have not been included within the mischief of the said disqualification. We may also notice herein that wherever the statute wanted to provide for specific disqualification in respect of certain affairs connected with State Government or Central Government, etc. that has been clearly and specifically provided. For e.g. Section 34(1)(k). The provision in question refers to disqualification to contest, an election. The right to contest an election is not a common law right. It is one created by the statute and the specific qualifications and disqualifications provided under the statute alone will apply. The conditions provided thus cannot be widened while interpreting the relevant clauses as Court cannot add words to a statute which principle is well accepted. 30. 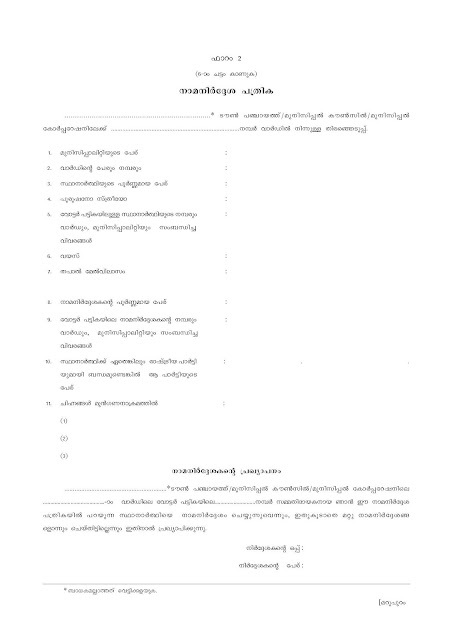 Disqualification of officers and employees of Government, local authorities, etc.--(1) No officer or employee in the service of the State or Central Government or of a local authority or a corporation controlled by the State or Central Government or of a local authority or any company in which the State or Central Government or a local authority (not less than fifty one percent share) or of a Statutory Board or of any University in the State shall be qualified for election or for holding office as a member of a Panchayat at any level. Explanation.--For the purpose of this section, company means a Government company as defined in Section 617 of the Companies Act, 1956 (Central Act 1 of 1956) and includes a co-operative society registered or deemed to be registered under the Kerala Co-operative Societies Act, 1969 (21 of 1969). 9. Shri Kodoth Sreedharan argued for the position that since in Section 30 officers of cooperative societies are also mentioned so as to include within its purview, they would also be deemed to be Government servants for the purpose of the said section and therefore the intention of the statute is plain and clear that the co-operative society concerned should also be treated as an arm of the Government and if so, the word "Government" in Section 34 (1)(j) takes in co-operative bank/society also. We fail to see how such an interpretation can be placed relying upon the said provisions. The content and import of Section 30 cannot have any application as far as the provisions of Section 34(1)(j) is concerned. These are independent and separate provisions and are not inter-dependent. Going by Section 30, a co-operative society registered or deemed to be registered under the Kerala Co-operative Societies Act, 1969 has also been included within the scope of mischief of that section if the Government is holding not less than 51% share. We may observe here that such societies are comparatively small in number also. The bar is for contesting elections to the local authorities by the employees and servants of such societies and beyond that, the provision cannot have any such wide import as contended by the learned Counsel for the respondent. 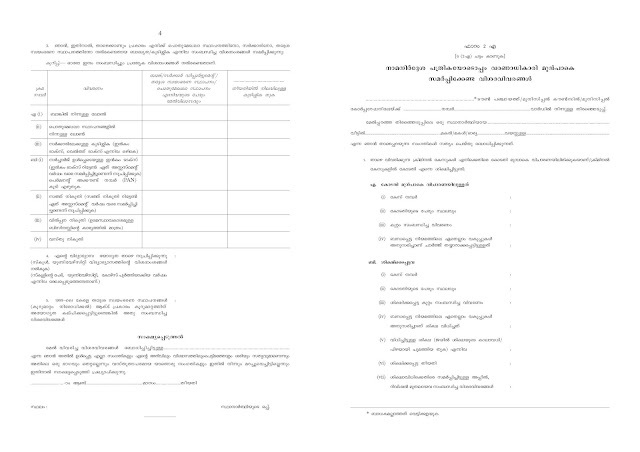 Further, we may also notice herein that in the said provisions officers and employees of a corporation controlled by the State or Central Government or of a local authority or any company in which the State or Central Government or a local authority or of a statutory Board or of any University in the State are specifically mentioned whereas in Section 34(1)(j) no such specification is there, only two are specified, namely, the Government of Kerala and the Panchayat. Hence, the said argument cannot be appreciated. From the legal point of view, Government may be described as the exercise of certain powers and the performance of certain duties by public authorities or officers, together with certain private persons or corporations exercising public functions. The structure of the machinery of Government and the Regulation of the powers and duties which belong to the different parts of this structure are defined by the law which also prescribes to some extent the mode in which these powers are to be exercised or these duties are to be performed (see Halsbury's Laws of England. Fourth Edition, Vol. 8, para 804). Government generally connotes three estates, namely, the Legislature, the Executive and the Judiciary while it s true that in a narrow sense it is used to connote the Executive only. The meaning to be assigned to that expression, therefore, depends on the context in which it is used. In our Constitution, which has a federal structure, there are both at the level of the Union and at the level of the States detailed provisions pertaining to the Legislature, the Executive and the Judiciary. All the three organs makes the laws, the second enforces them and the third interprets them though sometimes their functions may be overlapping. In this sense all the three organs together constitute the Government at their respective level. Their Lordships further held that "the word "Government in Article 102(1)(a) and in Article 191(1)(a) of the Constitution and the word 'Government' in the expression 'an officer of Government' in Section 21 of the Act should be interpreted liberally so as to include within its scope the Legislature, the Executive and the Judiciary". It is noticeable herein that their Lordships were considering only the question whether an officer of the State Legislature will come within the term 'an officer of the Government' in the sense of the expression 'Government' as used in the above articles. That cannot have any similarity to the question that is posed here. The expression "Government" used in proviso to Rule 3(b) has, therefore, to be construed in the wider sense and the services rendered by a Judge or Chief Justice of a High Court must be held to be a service in connection with the affairs of the Union and as such the proviso to Rule 3(b) of the Rules would govern the case of such retired Judge or Chief Justice in determining the salary, which he would be entitled to, on being appointed as a Member of the Human Rights Commission. In the latter decision there Lordships followed the view taken in the earlier decision that "all the three organs are concerned with the governance of the country - one organ makes the laws, the second enforces them and the third interprets them, though sometimes their functions may be overlapping. In this sense all the three organs together constitute the Government at their respective level". We find that the situation herein is not similar or identical. The principles stated therein as regards the meaning attributable to "Government" therefore cannot have any application here. 12. The word "Government" is defined in Section 2(xviii) of the Act as "Government of Kerala" and considered in the light of the well known expression 'Government'. We find that the meaning has to be attributed by taking the meaning as 'Government' in common parlance. There is no scope for including therein entities like co-operative societies, co-operative banks, nationalised banks, etc. as arms of Government. The expression 'Government' is also defined in Section 3(23) of the General Clauses Act, 1897 that "Government" or "the Government" shall include both the Central Government and any State Government". The entire aspects have to be considered in the light of the fact that the disqualification is attributed to in the case of a person being in arrears of any kind "due by him to the Government or the Panchayat concerned". The meaning of the term "due" therefore is important. In P. Ramanatha Ayar's The Law Lexicon, Reprint Edition 1987 the word "due" as a noun and adjective, is explained as follows: Due--As a noun : an existing obligation; an indebtedness, simple indebtedness without reference to the time of payment, a date ascertained and fixed though payable in future. As adjective can be of being justly demanded; claimed as of right; owing and unpaid; remaining unpaid; payable; regular, formal according to the rule or form. Therefore, it implies an existing obligation and indebtedness attributable to a particular transaction alone. (a to h Omitted) Section 9(1) provides for advance of loans by such banks on security of lands and other fixed assets. It is true that there is a provision that loans can be granted on the specific guarantee of the Government. But the scheme of the Act shows that the primary banks get funds from the Apex bank and they are not receiving funds directly from the NABARD or the Government, as the case may be. It is true that Section 4(3) of the Act allows the Board of the Kerala Co-operative Agricultural and Rural Development Bank to borrow money by way of loans from the Government, the Nationalised Bank for Agricultural and Rural Development, the Reserve Bank of India or such financial institutions as may be approved by the Trustee. This is a power conferred on the Board of Directors of the Apex bank and not that of the primary bank. The definition of 'BoardI in Section 2(b) indicates so. According to it. 'Board' means the Board of Directors of the Kerala Co-operative Agricultural and Rural Development Bank Limited. The provisions of Section 25 of the NABARD Act allows the NABARD to provide long term advances to the agricultural sector and by that process the NABARD advances such amounts to the Kerala State Co-operative Agricultural and Rural Development Bank. A reference to Sections 10 and 11 of the Act also will be of advantage here. Section 10 provides for charge on movable or immovable property of borrower for amounts borrowed and the method provided is to file a declaration in the prescribed form creating a Gehan or mortgage or hypothecation in favour of the primary bank. 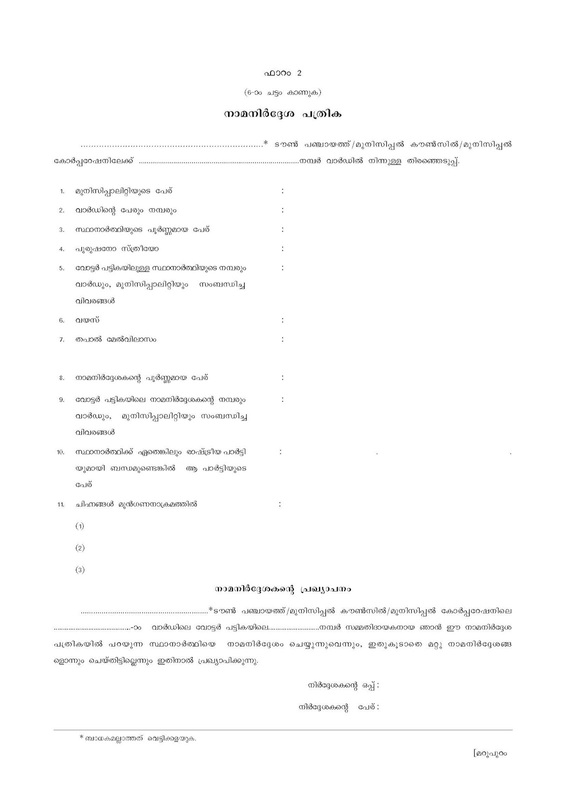 Sub-section (3) of Section 10 provides for a restriction on transfer of the movable or immovable property or land or movable assets to be acquired in the loan or advance provided in the above declaration without the consent of the primary bank until the entire amount of the loan or advance taken by the member from the primary bank, together with interest thereon, has been paid to the bank. Section 11 provides that "every person who applies for a loan from a primary bank shall make a declaration in the prescribed form...." Thus, it will be seen that the entire transaction the member is entering into, is with the primary bank and his obligation is to repay the loan to the primary bank and the Government does not come in at all for the purpose of creation of any obligation of repayability of him: The advance in question is only by the primary bank to the member and they alone are parties to the contract. It is evident that there is no privity of contract between the member and the Government and his obligation to repay the money arises from the transaction with the primary bank alone and no statutory liability also is cast, creating a liability towards the Government. 14. We find that going by the provisions of Chapter V of the Act providing for sale of the property charged in case of default of payment of sums due to the bank, the Committee of the Bank is empowered to proceed with such steps in view of the Gehan or mortgage or hypothecation without intervention of the Court. The steps regarding the conduct of sale include a decision to be taken by the Committee of the Bank to exercise the power of sale, sending of registered notice requiring the payment of sums due to the primary bank to the loanee and the sureties, application to be made by the Committee of the Bank to the Sale Officer appointed under Section 28 of the Act and the process to be undertaken by the Sale Officer by giving notice, etc. for the purpose of conducting the sale. Going by Section 22 of the Act, the proceeds of the sale shall be applied by the sale officer first in payment of all costs, charges and expenses properly incurred by him as incidental to the sale or any attempted sale, secondly, in payment of all interest due on account of the Gehan or mortgage or hypothecation in consequence whereof the property was sold; thirdly, in payment of the principal money due on account of the Gehan or mortgage or hypothecation. Therefore, the money goes to the loan account of the loanee, maintained in the primary bank and not to the Government at all. None of the above provisions confer any power on the Government to proceed against an individual loanee who is a member of the primary bank, to recover any money. This aspect also assumes relevance contextually. 15. It is therefore clear from the provisions of the Act that there are only two parties to the transaction in question of granting of loan, the primary bank as well as the loanee in question. The dues thus is the one owed by the party to the bank and therefore at any rate, it cannot be characterised as a dues towards Government. Under what circumstances and subject to what limitations a person could be declared to have incurred disqualification is a matter of policy of law and the Courts have cautioned themselves by stating that right to vote, right to elect or contest an election is a creature of statute and circumscribed by the limitations contained therein. Therefore, as long as the Constitution or the R.P. Act indicates in clear terms as to what its policy, it would not be open to a Court to interpret such a provision by trying to find out what the intent could be by ignoring the actual expressions used. Therefore, the supposed scheme of the provisions would not afford sufficient guidance to take the view that the expression "undischarged insolvent" should be understood as meaning an insolvent who is a person who is in impecunious circumstances as is unable to repay the debt. It is well settled that the language of the Statute is to be properly understood. The usual presumption is that the Legislature does not waste its words and it does not commit a mistake. It is presumed to know the law, judicial decisions and general principles of law. The elementary rule of interpretation of the Statute is that the words used in the section must be given their plain grammatical meaning. Therefore, we cannot afford to add any words to read something into the Section, which the Legislature had not intended. (Emphasis supplied) Hence, it is clear from the meaning of the term 'Government' in Section 34(1)(j) that dues to the Government of Kerala alone is covered by that expression. Petitioner does not owe any amount either to the Government or to the Panchayat in respect of any bill or notice duly served upon him and that the time specified therein for payment has expired. 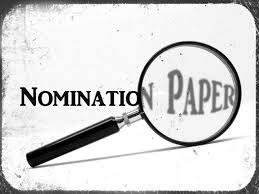 Petitioner's nomination paper was rejected by the returning officer not due to the fact that any amount was due either to the Government or to the Panchayat but to a Service Co-operative Bank. Such a disqualification would not fall under Section 34(1)(J) of the Act. We respectfully agree and follow the above view taken by the Bench. 19. In the decision reported in 2002 (3) KCT 603 the learned single Judge took the view that "a close analysis of the various provisions of the Kerala State Co-operative Agricultural and Rural Development Banks Act shows that the source from which the loan advanced by the Bank comes from the Government. If a loanee commits default, the Government is the ultimate loser." The banks in question are functioning under a two tyre system i.e. an Apex bank at the State level and primary banks at the level of different taluks which are confined to their respective areas of operation. The apex bank advances amounts for the purpose of primary banks. It is not a case where the primary banks directly obtain funds from the Government, NABARD or the Reserve Bank of India, as the case may be. The Government stands as a guarantor not in respect of the individual loans granted to different members of the primary co-operative bank. Hence, it is not a case where the Government will be a co-obligant in respect of each one of the transactions, the loanees enter into with the primary co-operative bank. The Apex Bank collects the various amounts advanced to primary banks, at fixed intervals. In fact, a reference to Rule 46(e) and the proviso of Kerala Co-operative Societies Rules, 1969 is also of advantage here. Going by the rule, the delegate of a primary society who sits in the committee of another society (herein the Apex Bank) will cease to be in office if the primary society is in default to the other and as far as delegates of Primary Agricultural and Rural Development Banks in the committee of Apex Bank are concerned, the disqualification shall apply only if the default exceeds six months. Thus, it is evident that the Apex Bank collects the amount advanced from the primary Bank and the default of the primary Bank is only to the Apex Bank and not to any other authority, institution or the Government. Even if, in ultimate analysis the defaults of individual loanee affect the public exchequer, so long as the legislature in its wisdom has not included such defaulters as disqualified to contest for and continue as members of local authorities, the Court cannot import new additions. 20. Therefore, as we have explained in the earlier paragraphs, the transaction in question is only with the primary bank and the loanee and the obligation to repay is to the primary bank itself. Therefore, going by the meaning of the word "due" as referred to above, it is only an existing obligation and indebtedness and it includes a contractual obligation. As the Government is not a parry to the contract in question, there cannot be any obligation for the member concerned directly or indirectly to the Government and such a member of the bank cannot be termed as in default to the Government at all. The character of the loan is only by way of advance by the primary bank to the member alone and he is executing a Gehan or mortgage or hypothecation, as the case may be, as provided under the Act in question. We may advert to Section 9(2) of the State Co-operative Agricultural and Rural Development Banks Act, relied on by the learned single Judge in taking the view. 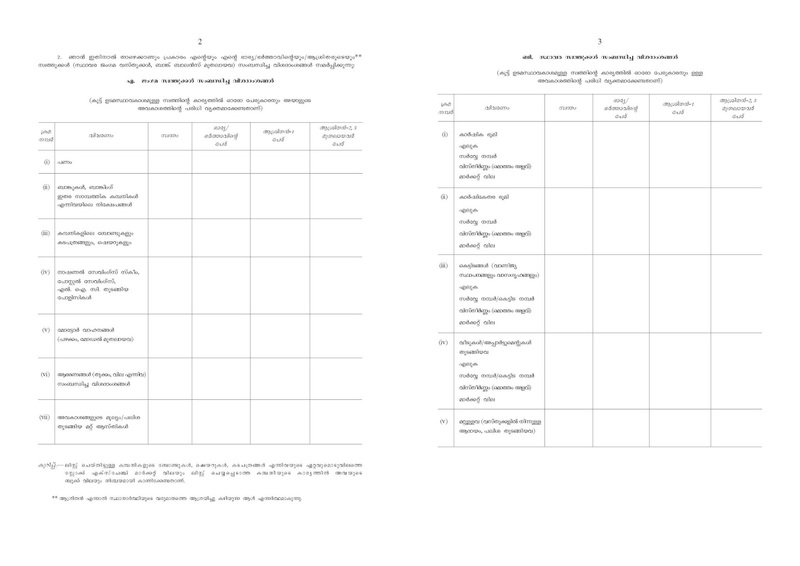 Section 9(2) enables the Apex and Primary Banks to grant or advance loans under any Land Development Scheme prepared and approved under the provisions of the Kerala Land Development Act, 1964 subject to such terms and conditions as are agreed upon between the Government, Apex Bank or Primary bank. Only the terms of the loans have reference to the agreed terms with the Government. Source of funds is not the Government and the loan is granted or advanced by the Banks. The Corporation though statutory has a personality of its own and this personality is distinct from that of the State or other share-holders. It cannot be said that a shareholder owns the property of the Corporation or carries on the business with which Corporation is concerned. Hence prima facie the income derived by the trading Corporation cannot be claimed by the State which-is one of the share-holders. It is also clear that the trading activity carried on by a Corporation is not a trading activity carried on by the State depart/mentally nor is it a trading activity carried on by State through its agents appointed in that. behalf. 22. Far from making any provision which ¦would make the income of the Corporation the come of the State, all the relevant provisions emphatically bring out the separate personality of the Corporation and proceeds on the basis that the trading activity is run by the Corporation and the profit and loss that would be the profit and loss of the Corporation. Their Lordships held that it had a separate identity and its income was not the in come of the State Government. 23. In Heavy Engineering Mazdoor Union State of Bihar AIR 1970 SC 82, the company was incorporated under the Companies Act and its entire share capital was contributed by the Central Government. The status of it was examined in relation to Section 2(a) of the I.D. Act, 1947. It was held that "an incorporated company, as it will known, has a separate existence and the law recognises it as a juristic person separate and distinct from its members.... Therefore, the mere fact that entire share capital of the respondent company was contributed by the Central Government and the fact that all its shares are held by the President and certain officers of the Central Government, does not make any difference." Thus, even if NABARD and Reserve Bank. advances money, it will not be an advance given by the Government. The NABARD and Reserve Bank of India have been incorporated under the National Bank for Agricultural and Rural Development Act and Reserve Bank of India Act, respectively. Going by the provisions of the respective enactments, they have been constituted as body corporate with power to acquire property also. We therefore, with respect, are unable to agree with the view of the learned single Judge in the decision reported in 2002 (3) KLT 603. 24. The Apex Bank and Primary Banks Rave been registered under the Kerala Cooperative Societies Act, 1969. They are governed by their own bye-laws. The management is vested in an elected body. It is a body corporate, having perpetual succession and a common seal and with power to hold property, enter into contracts etc. In their activities they will also be governed by the enabling provisions of the Kerala State Cooperative Agricultural and Rural Development Banks Act, 1984 which is enacted "to facilitate the more efficient working of Cooperative, Agricultural and Rural Development Banks in the State of Kerala." Their identity is distinct and separate and they will not come within the meaning of the term 'Government'. 25. In the light of the above, we hold that the dues towards a co-operative bank, co-operative society cannot be termed as dues to the Government as envisaged in Section 34(1)(j) of the Act. The decision reported in Ramachandran v. Omanakuttan 2002 (3) KLT 603 is overruled. 26. The election is challenged only on the ground that the revision petitioner was in default to the Kasaragod Primary Co-operative Agricultural and Rural Development Bank. The election petition was allowed following the dictum laid down by a learned single Judge of this Court in 2002 (3) KLT 603. Exts. X1 to X4 are the loan files and other related documents of the said Bank. CW. 1's evidence is only that the three loans were availed from the bank. In the light of the view we have taken above, the said ground is not available and hence, the C.R.P. is allowed setting aside the judgment in C.M.A. No. 46/2006 on the file of the District Judge, Kasaragod which confirmed the judgment in O.P. No. 18/2005 on the file of the Munsiff s Court, Kasaragod and consequently, the Election Petition is dismissed. പഞ്ചായത്ത്‌ - മുനിസിപാലിറ്റി തെരഞ്ഞടെപ്പു നിയമത്തിലെ ഫോം നമ്പര്‍ 2 പ്രകാരം മത്സരിക്കാനുദ്ദേശിക്കുന്ന തദ്ദേശ സ്ഥാപനത്തിലെ വോട്ടര്‍ പട്ടികയില്‍ പേരുള്ള ഒരു വോട്ടര്‍ സ്ഥാനാര്ഥി്യെ നാമനിര്ദ്ദേശം ചെയ്യണം. സ്ഥാനാര്ഥി്യുടെ പൂര്ണ്ണ്മായ പേരും വോട്ടര്‍ പട്ടികയിലുള്ള സ്ഥാനാര്ഥിയുടെ നമ്പരും വാര്ഡും വയസ്സും തപാല്‍ മേല്‍വിലാസവും എഴുതണം. നാമനിര്ദ്ദേ്ശകന്റെയും പൂര്ണ്ണമായ പേരും വോട്ടര്‍ പട്ടികയിലുള്ള സ്ഥാനാര്‍ഥിയുടെ നമ്പരും വാര്ഡും എഴുതണം. ഇതു കൂടാതെ മറ്റാരെയും നാമനിര്ദ്ദേ്ശം ചെയ്തിട്ടില്ല എന്നും നാമനിര്ദ്ദേശകന്‍ പ്രഖ്യാപനം ചെയ്തു ഒപ്പിടണം. അതോടൊപ്പം അതേ ഫോമില്‍ തന്നെ സ്ഥാനാര്ഥിയുടെ സത്യപ്രസ്ഥാവനയും ഒപ്പും വേണം. നാമ നിര്ദ്ദേ ശ പത്രികയോടൊപ്പം ഫോം 2 എയില്‍ സ്ഥാനാര്ത്ഥിയും വിശദ വിവരങ്ങള്‍ സമര്പ്പിക്കണം. സ്ഥാനാര്ത്ഥിക്കെതിരെയുള്ള ക്രിമിനല്‍ കേസുകളുടെ വിവരങ്ങളും നല്കണം. സ്ഥാനാര്ഥിയുടെയും ഭാര്യയുടെയും/ഭര്ത്താവിന്റെയും ആശ്രിതരുടെയും (ആശ്രിതന്‍ എന്നാല്‍ സ്ഥാനാര്ഥിയുടെ വരുമാനത്തെ ആശ്രയിച്ചു കഴിയുന്ന ആള്‍ എന്നര്ത്ഥം). സ്ഥാനാര്ഥിയുടെയും ഭാര്യയുടെയും/ഭര്ത്താവിന്റെയും ആശ്രിതരുടെയും പണം, ബാങ്കുകള്‍, ബാങ്കിംഗ് ഇതര സാമ്പത്തിക കമ്പനികള്‍ എന്നിവയിലെ നിക്ഷേപങ്ങള്‍ , കമ്പനികളിലെ ബോണ്ടുകളും കടപത്രങ്ങളും ഷെയറുകളും, നാഷണല്‍ സേവിങ്ങ്സ് സ്കീം പോസ്റ്റല്‍ സേവിങ്ങ്സ് എല്‍ ഐ സി തുടങ്ങിയ പോളിസികള്‍, മോട്ടോര്‍ വാഹനങ്ങള്‍ (പഴക്കം,മോഡല്‍ മുതലായവ), ആഭരണങ്ങള്‍ (തൂക്കം, വില ) സംബന്ധിച്ച വിവരങ്ങള്‍, അവകാശങ്ങളുടെ മൂല്യം/ പലിശ തുടങ്ങിയ മറ്റു ആസ്തികള്‍ എന്നിവ പ്രത്യേകം കോളത്തില്‍ എഴുതണം. ലിസ്റ്റ് ചെയ്തിട്ടുള്ള കമ്പനികളുടെ ബോണ്ടുകള്‍, ഷെയറുകള്‍, കടപ്പത്രങ്ങള്‍ എന്നിവയുടെ ഏറ്റവുമൊടുവിലത്തെ സ്റ്റോക്ക്‌ എക്സ്ചേഞ്ച് മാര്ക്കറ്റ് വിലയും ലിസ്റ്റ് ചെയ്യപ്പെടാത്ത കമ്പനിയുടെ കാര്യത്തില്‍ അവയുടെ ബുക്ക്‌ വിലയും നിശ്ചയമായി കാണിക്കേണ്ടതാണ്. സ്ഥാനാര്ഥിയുടെയും ഭാര്യയുടെയും/ഭര്ത്താ്വിന്റെയും ആശ്രിതരുടെയും ഭൂമി, കെട്ടിടങ്ങള്‍, വീടുകള്‍ സംബന്ധിച്ച വിവരങ്ങള്‍ പ്രത്യേകം നല്കംണം.